I spent a full week undercover inside Moran Market a few years ago, where I also attended the main Boknal dog meat festival. There were over 1,000 people eating dog meat around me in the market. Moran Market housed South Korea’s main dog and cat meat slaughterhouses, where I witnessed the terrible slaughter of dogs and cats for human consumption for South Korea’s dog and cat eaters. 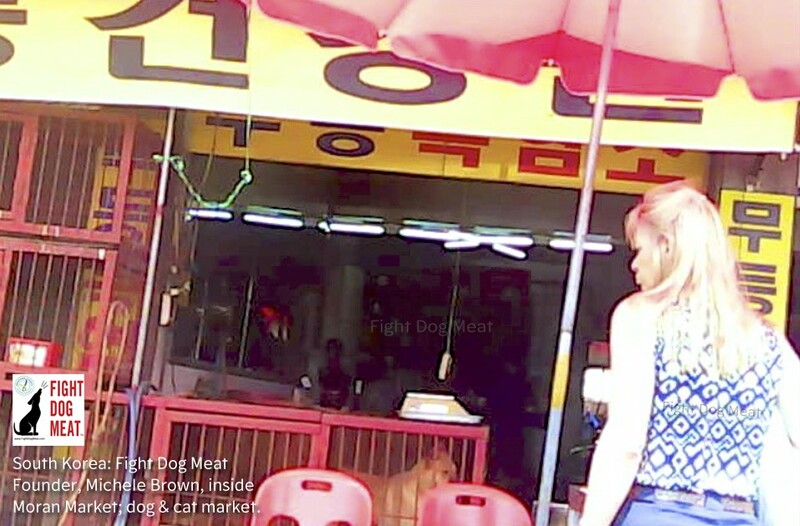 The market also boasted dog and cat meat restaurants which were heavily supported by customers. 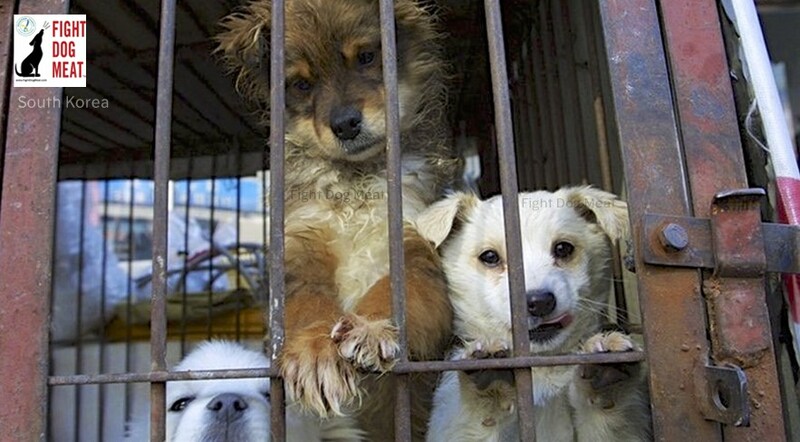 Since my time in Moran Market I’ve remained interested in the plight of South Korea’s animals. When Moran Market was shut down I didn’t believe the butchers would hang up their aprons. Some of them relocated to nearby rural areas in ​​Gwangju city, where they continued to slaughter illegally. They were caught by the Gyeonggi Special Provincial Police Station. Inside one of the two newly discovered slaughterhouses. The butchers set up illegal slaughterhouses with complete disregard to local laws. They flushed dog body parts and wastewater into the local protected water source! 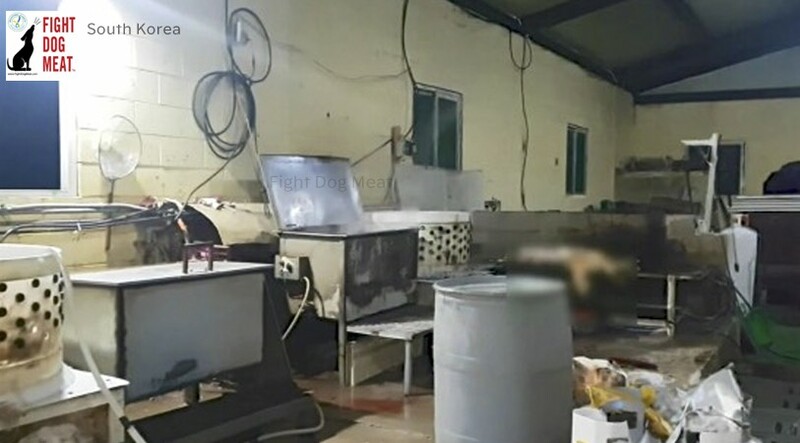 Police found two slaughterhouses filled with equipment used in dog and cat slaughter and processing for human consumption. The butchers will be prosecuted for violation of the animal protection law and the water environment preservation law. Dogs which were in death cages at Moran Market. “There were more than 20 slaughtering and selling companies in Moran Market, but all businesses except Company A were shut down in accordance with the business agreement of Seongnam Market (current Gyeonggi province governor) and Moran Market Merchant Association. The government decided to reinforce the inspection and enforcement activities by suspending illegal slaughtering in the market,” said the Asian Economy media source. Fight Dog Meat will continue to watch the activity concerning Moran Market butchers. READ MORE: South Korea: Boknal – My First Hand Experiences. Fight Dog Meat is a Registered Charity. We work with a number of animal rescue teams living in dog and cat meat countries. If you would like to help the animals and rescuers we work with, please consider a small donation. Fight Dog Meat is a Registered Charity.